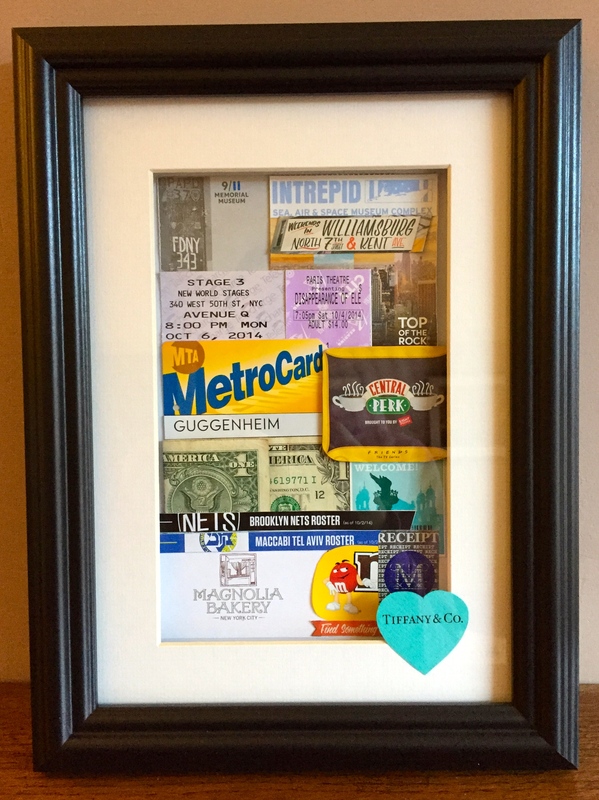 I love to travel and to collect mementos from the places that I visit but all those ticket stubs, programmes, and snippets soon add up to bags full of clutter that, realistically, you never get the chance to look at. It’s the same with greetings cards. It’s nice to receive them and display them on your mantlepiece but what do you do with them when the occasion has passed? You either recycle them, or put them away in a box. 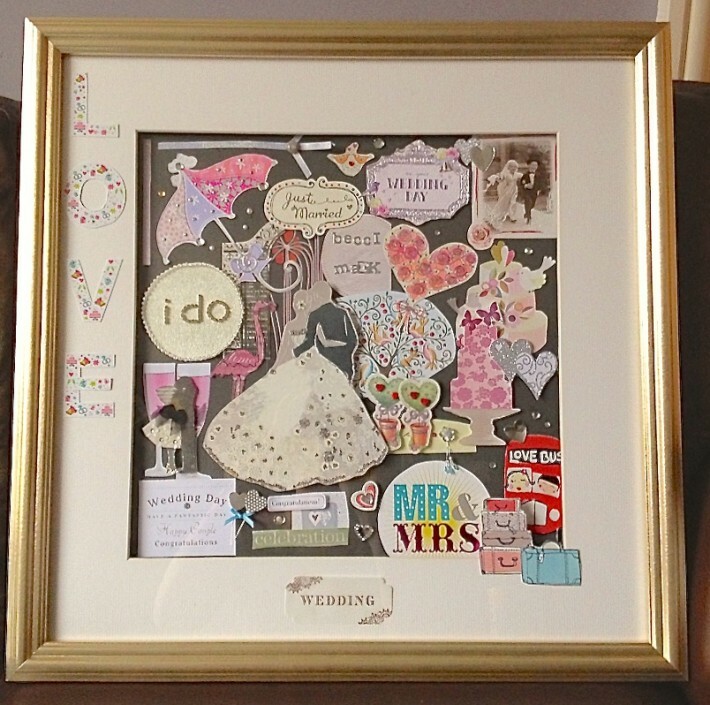 Memory box frames are a brilliant way of displaying keepsakes. I thought I’d share mine with you to give you some inspiration as you contemplate throwing things away during your January clear out! In 2010 I took part in a GirlGuiding UK trip to Egypt as part of a GOLD project (see Other Adventures). I spent 3 weeks delivering training sessions to girls throughout Egypt and a further 3 weeks travelling round the country. It was an amazing experience and one that I will never forget. 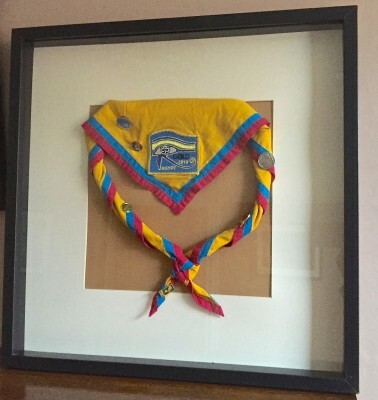 It’s nice to have my team necker framed on our ‘travel wall’ to remind me of the many times we taught the girls how to tie friendship knots. Each of the badges were given to me throughout the trip, including the 2010 promise badge, specially designed to commemorate the GirlGuiding Centenary. We received an astonishing number of cards when we got married. Initially we hung them round the living room, but they had to come down eventually. I don’t have a big enough wall to display every card in a frame so I decided to cut out the images from as many cards as I could. They evolved in to this picture of a bride and groom in a garden, which I embellished with various sparkles, also from the cards. 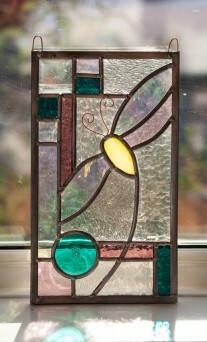 The size of the frame dictated the design to some extent; that was part of the challenge. Regular readers will know that I finally made it to New York at the end of last year. I’m usually pretty good at limiting my souvenirs to Christmas Baubles and some sort of picture or poster for our ‘travel wall’ (the wall going up our stairs) but I had been wanting to go for so long that I felt the trip needed some sort of special recognition. 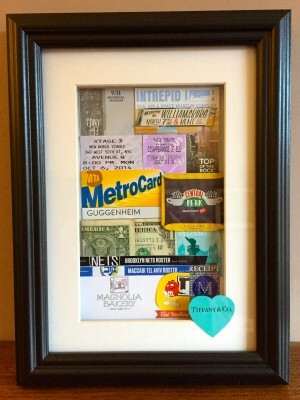 I created this memory frame from all our ticket stubs, the metro card, and the coffee holder from Central Perk! 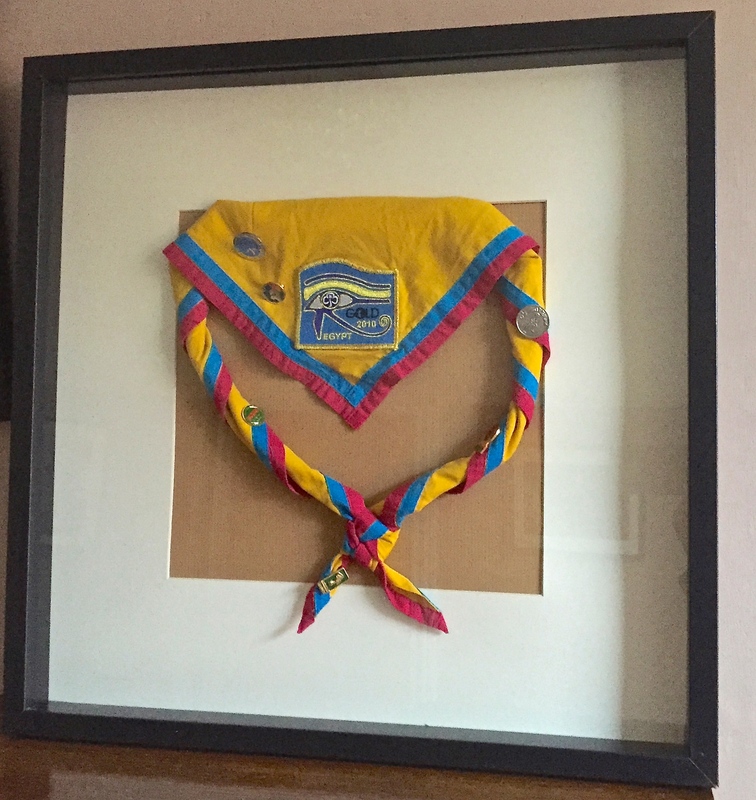 You could use memory box frames to display baby items, to remember a special Birthday, or to show off medals you’ve received for completing a sporting challenge. As I write this I’m wondering why I haven’t done this with my medal from the Marathon! I bought my frames in Ikea and Hobbycraft. So far, the Hobbycraft ones have been better quality, but the Ikea ones are a little easier on the purse strings. Don’t forget to use Quidco if you are buying online. At the moment you can earn up to 6% cashback with Hobbycraft. I’d love to see what you do with your cards and souvenirs. P.S. Did you know that the word ‘souvenir’ comes from the French for a remembrance or memory. ← Are you struggling with Dry January? You always have great ideas, the memory boxes look lovely and will go very well up the stairs. Thank you! It’s just going to be a long time before they all go back up, while we decorate the hall! Front door is coming on though – pics will follow when finished! Get them in a frame – then you can look at them and enjoy the memories every day! We did your Egypt challenge with our Brownie group – they loved it so much we bought two lots and did it 3 years later. Don’t suppose you still have any badges left do you? A very long shot I know! Can’t believe it’s almost 5 years ago since I went to Egypt as part of GOLD! I have emailed you directly about the badges. Have a gander at my new blog while you’re here and ‘Follow’ to receive email updates every time I post!